If you can't beat Amazon, partner with it. Kohl's is doing another deal with Jeff Bezos. The department store chain said Tuesday that 82 stores in the Chicago and Los Angeles areas will soon accept return items from Amazon. Kohl's will pack and ship the merchandise back to the online retailing giant for free. Earlier this month, Kohl's announced a plan to sell the Alexa-enabled Echo home speaker, Fire TV, tablets and other Amazon-branded devices in 10 of its stores. The latest partnership between Kohl's (KSS) and Amazon (AMZN) comes as traditional retailers try (and often fail) to adapt to a rapidly changing landscape. Toys 'R' Us filed for bankruptcy protection late Monday. Toys 'R' Us has been hurt by Amazon, as well as Walmart (WMT) and Target (TGT). But other retailers are following the lead of Kohl's and have decided to work more closely with Amazon to boost sales. Sears (SHLD), which also owns Kmart, has been one of the worst-performing retailers of the past decade. But the company announced in July that it would sell Kenmore appliances, including some that are compatible with Alexa, on Amazon. Cooper Smith, director of Amazon research at L2, a firm that tracks the digital performance of brands, says he expects more retailers to partner with Amazon -- but they will need to be wary at the same time. "Doing deals with Amazon makes sense. They can help get consumers to come back, especially around Black Friday," he said. "But these retailers will have to tread a careful line when partnering with Amazon." That's because Amazon isn't just working with other retailers. The company has opened its own physical stores, Amazon Books, that sells best-selling books and Amazon devices. And in its biggest brick-and-mortar move of all, Amazon bought Whole Foods this year for nearly $14 billion. The deal recently closed, and now you can buy Amazon gadgets at the grocery store along with kale and quinoa. It should come as no surprise, then, that investors in Barnes & Noble (BKS) and Kroger (KR) aren't too pleased with Amazon's increased clout in the real world. The stocks of both companies have plunged nearly 40% this year, while Amazon is up 30%. L2's Smith notes that Amazon has its sights set on clothing, too. 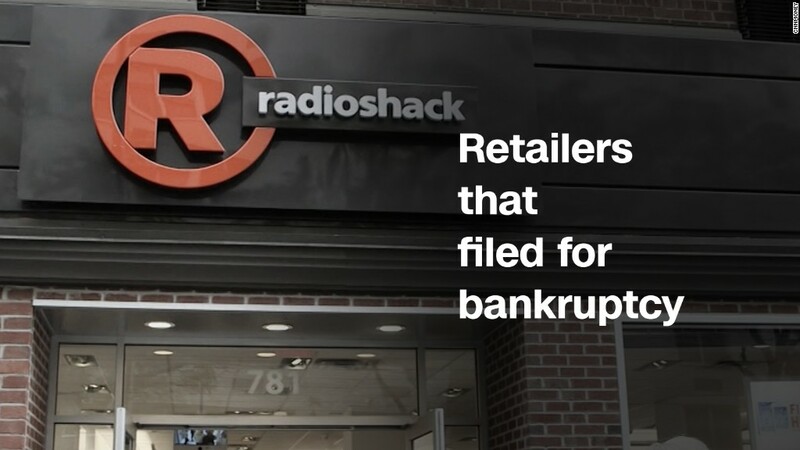 That could pose a problem for Kohl's and Sears. "Amazon is launching private label apparel brands of its own," Smith said, adding that this could hurt sales of bargain-priced fashion at Kohl's, Sears and other department stores. Not every big traditional retailer is throwing in the towel. Chuck Grom, an analyst with Gordon Haskett, notes that Macy's (M) recently hired Hal Lawton, formerly a senior executive at eBay (EBAY), to be its president. Nordstrom (JWN) is launching a format called Nordstrom Local with no inventory. The Local stores will have stylists who help people pick out clothes that they can order online. The stores will serve wine and beer, too. "We continue to observe more and more collaboration between digitally native companies and traditional retailers -- a theme that we think will continue to build momentum in the coming quarters," Grom wrote in a report Tuesday. And Walmart continues to boost its own digital operations under the leadership of Marc Lore, who joined the retailer after Walmart bought his company Jet.com last year. "Walmart has done an extremely great job online under Lore," Smith said. "It's shaping up to be an all-out price war between Walmart and Amazon, and if anyone can beat Amazon at its own game, it's Walmart."